Between June and September last year, Zoona retrenched young Zambians and later put them in a worse-off situation than they were. These workers were enticed to get attractive packages if they agreed to sign a deal to leave the company and become agents. However, before that deal was brought on the table, the owner of the company Brad had made it clear that he did not want them in his company. 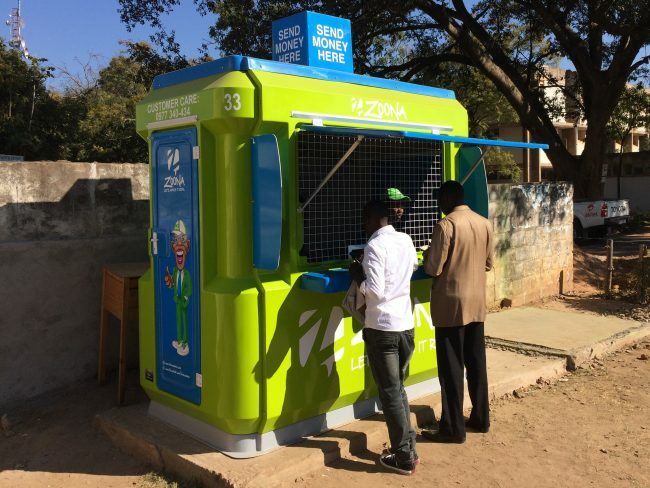 He therefore, promised each one of them to get a package of K150,000.00 known as Zoona Cash, 10 Booths of which each booth would operate with K15,000 Zoona Cash. After the deal was signed and employees agreed to leave the company, the contents were changed. Instead of giving the former employees the package that was agreed, the Company settled for K100,000 Zoona Cash for Ten outlets which meant K10,000 Zoona Cash per both. It is at this moment that the contract was thrown in the Bin and everything these former employees said was rubbish. The former employees took on the business and started their daily business running up and down in order to make ends meet. But along the way they had faced several challenges, the major one being FRAUD. Instead of Zoona helping out, they turned a deaf ear and FURTHER REDUCED THE ZOONA CASH. What this implied is; suppose a teller stole K4,000, you are left with K6,000 out of the K10,000.00 when they reduce the zoona cash by K4,000 you are left with K2,000 to operate with. This is where the problem comes in, considering that you only have a K2,000 to operate with which is not enough to generate commission as you are expected to pay your worker K1,000 and pay Zoona what is called Franchise fee of K500 for using their booth. So in the end you are left with K500 for operations. Instead of Zoona helping you out to recover the money that was stolen from you, they squeeze you in a corner and request you pay back the money when you do not have any capacity to do so. They have forcefully made payment plans with employees on how the money is to be paid back. Zambian Watchdog, reported in 2015 that Zoona was collapsing very fast as they were failing to pay back their investors as the company directors spent their money on useless things. In order to raise monies as a company Zoona has become so desperate that they now lend out kaloba to those so called agents and use the booth as collateral. When the poor agents earn their commissions the system automatically deducts the monies for the loan, all the agents have complained for a long time that ever since getting these loans for the booths the loan balance doesn’t move and this is tantamount to slavery and that’s why you see the booths open daily, it’s not customer service but slavery that makes them open the booths otherwise what they get as commission is peanuts. They have become so desperate that they now want to start extending this Kaloba business to the public. Currently there has been a rising number of booths that have been closed because agents kept on suffering the loss while Zoona has been gaining. Zoona has made agents walk away with an amount as less as K300 per month plus are required to pay back more than K2,000 per month for the car loans and any Zoona cash that was lost fraudulently and was well documented by the police. All those that saw this evil and tried to protect the agents have either been fired or resigned to seek opportunities elsewhere. It is for this reason Bob the former Managing Director left Zoona and was replaced by the current one who has no background of any Corporate relations and can easily be used as a pawn in advancing their selfish ambitions to get more people these loans. Where is the money that was meant to retrieve Gabon disaster plane ?